Apple is running out of options to get 5G into the iPhone 2020, as reports stack up that sole iPhone modem supplier, Intel, might not be able to deliver in time. Cue: China's Huawei, the No. 2 smartphone maker in the world. 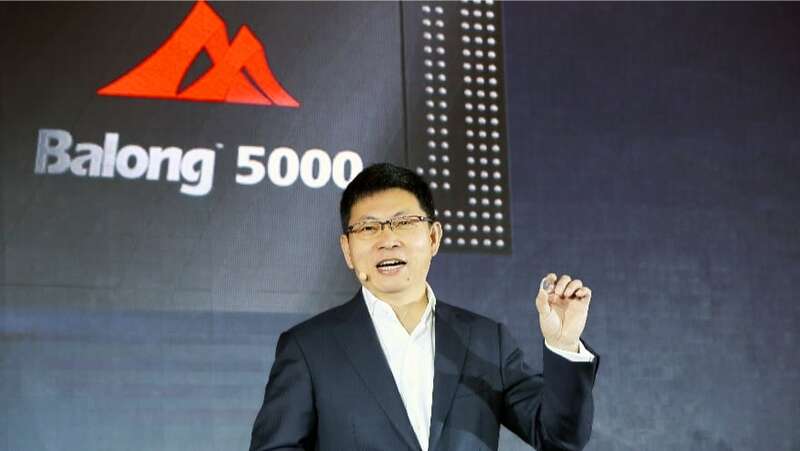 Its Balong 5000 5G modem is already working in the Mate 20X and forthcoming foldable Mate X. The company is 'open' to selling its 5G modem to Apple, according to Engadget, giving the iPhone 2020 access to faster 5G speeds – if Apple can't patch things up with Qualcomm. What's significant about this is that Huawei doesn't sell its chips to others, like Qualcomm does. You'll only find its HiSilicon Kirin chipset in the Huawei Mate 20 and Huawei P30 Pro, for example. It seems as if Huawei is willing to make an exception for Apple. Huawei isn't just being nice. The company stands to make a lot of money if its 5G modem finds a way inside the iPhone 2020. Just ask Samsung, which supplies Apple's displays. If Intel is behind the curve, and Apple and Qualcomm can't stop suing each other, that leaves two other equally unlikely modem suppliers: Samsung and MediaTek. Apple did talk to the firms, according to a UBS analyst note seen by Fast Company. But, Samsung seems even less practical than Huawei, and MediaTek less technically ready than Intel. Apple, for its part, hasn't commented on Huawei's reported offer. Not only would it be paying a rival, it could also create problems with the US government. You can't find flagship Huawei handsets on sale through the normal carrier and retail channels in the US, and the American government has considered an all-out ban on Huawei for theft, fraud and spying fears. Apple hasn't shied away from tangling with the US government before, but it could walk into a publicity nightmare with Huawei's modem. Samsung could easily point out in marketing that the only thing standing between your private data and the internet is a 5G iPhone modem from a Chinese manufacturer under indictment.